Is that something people actually say? Well, if not, I just did. I had a great holiday weekend. I spent a lot of time at my dad's house up north. We took quad rides and watched some movies. 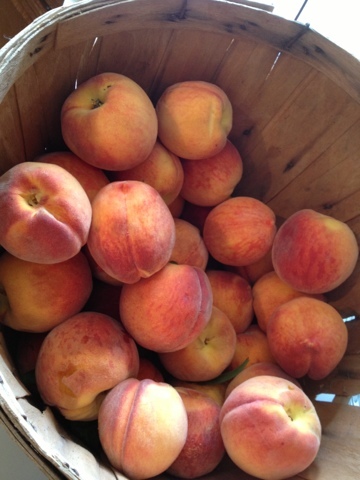 We even picked some peaches for my dad. 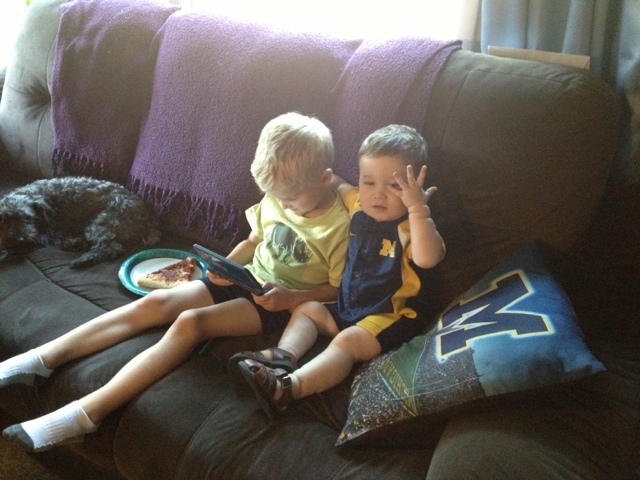 The boys only worked an hour and then my nephew watched them in the afternoon while I went out to pick with my sister. It was fun and exhausting at the same time. My sister is a super hard worker and her picking abilities amaze me. It felt good to earn some money. 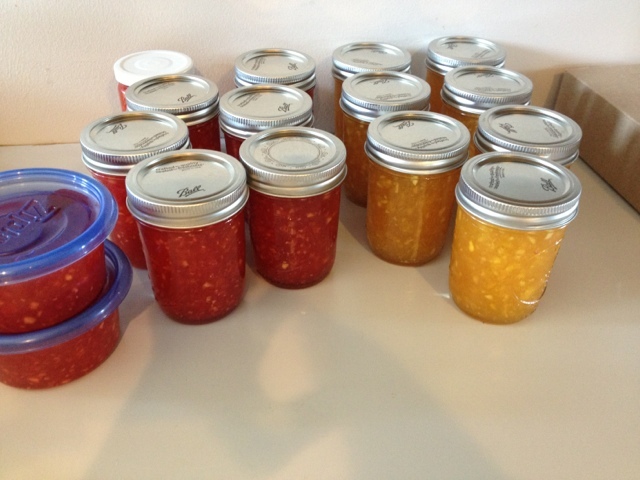 We made some peach jam and raspberry-peach jam together at my dad's request. They turned out great and I even got to bring a jar of each home. 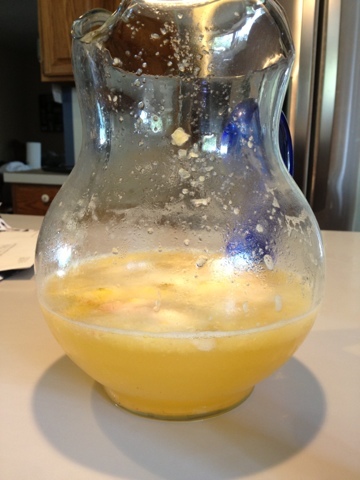 My sister made some refreshing peach-lemonade. I also collected old apple box boards to take back home for when I want to start my entry room makeover. I can't wait to have the time and money to start working on it! I love staying at my dad's and don't like coming back home but Scott stayed behind and I think he got pretty bored without us there. Today we went to Shipshewana. This is something we do every summer but had not gone yet. It was fun but a little warm. I think it was warmer down there than here in Holland. We picked up a few things but nothing too exciting. Although I did get some blueberry plants! I can't wait to plant them. Here are some random pictures from the weekend. 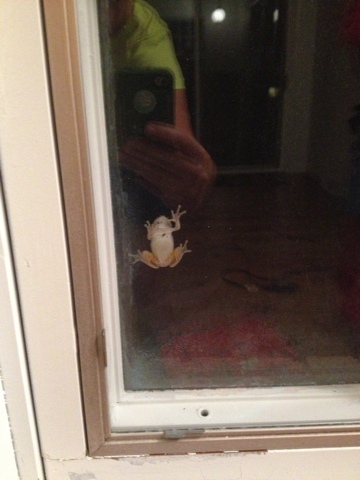 That last picture is of a frog on our window. Isn't that crazy? This evening we have been preparing for the first day of school tomorrow. So sad. Why can't summer last just a little bit longer? I'm not one of those moms that gets excited to have the kids gone. It will be a hard day tomorrow. 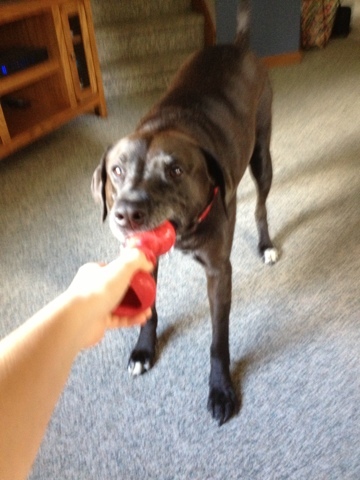 Only one will be at home with me full time. Where does the time go?! What about you? Sad or excited for school?